The holidays shouldn’t ever break the bank. Are you worried about buying gifts while taking advantage of the best sales of the year? If you purchase any new vehicle from us up to December 23rd, we’ll give you a $500 gift card to spend on Holiday Gifts. It’s a win win! 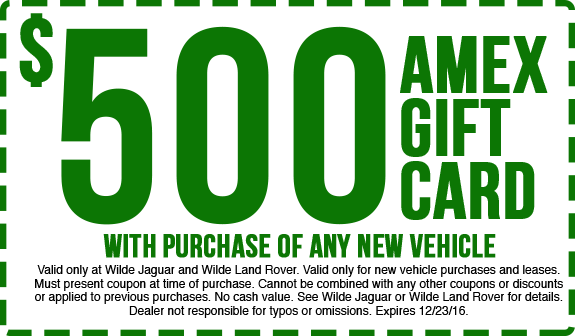 Simply print or save the coupon below and bring it with you to the dealership!